Born in Montgomery, Alabama in 1899, Percy Julian was not allowed to attend high school because there were no high schools open to black students. 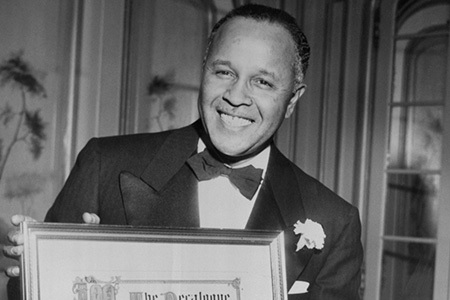 Despite the fact, Percy Julian went on to earn his Ph.D and became an African-American pioneer in the chemical synthesis of medicinal drugs, becoming one the most influential chemists in American history. Desiring to leave the academia, Julian applied for jobs at prominent chemical companies, but was repeatedly rejected when hiring managers discovered that he was black. Eventually, he obtained a position at Glidden Company as a lab director and invented Aero-Foam to put out oil and gas fires. 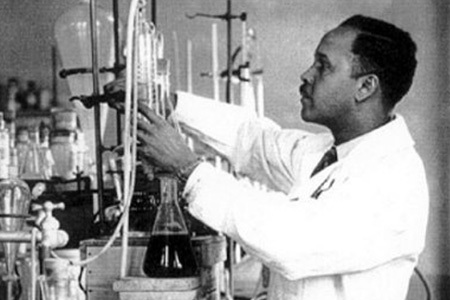 In 1953, Percy Julian left Glidden and established his own laboratory, Julian Laboratories, in 1954. He sold his company in 1961, becoming one of the first black millionaires, before founding Julian Research Institute, which is a nonprofit organization he ran for the remaining of his life. While employed at Howard University, Julian and Anna were accused of having an affair; while she was married to one of his colleagues. A scandal took place and Julian was fired, but the and Anna married in 1935 and had two children. Some years later, Julian and his family moved to Oak Park, Illinois in 1951. But the home was firebombed before Julian and his family could relocate in 1951. If you enjoyed reading about Percy Julian, learned a few things you didn’t know are maybe you have some knowledge regarding Julian’s history which didn’t happen to mention. Leave us a comment, I’m sure other readers would enjoy learning more about Julian.